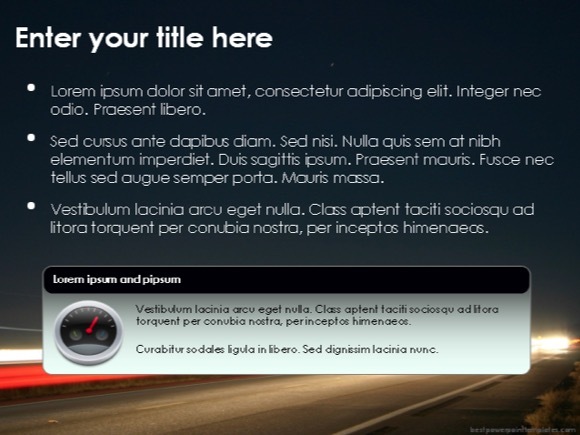 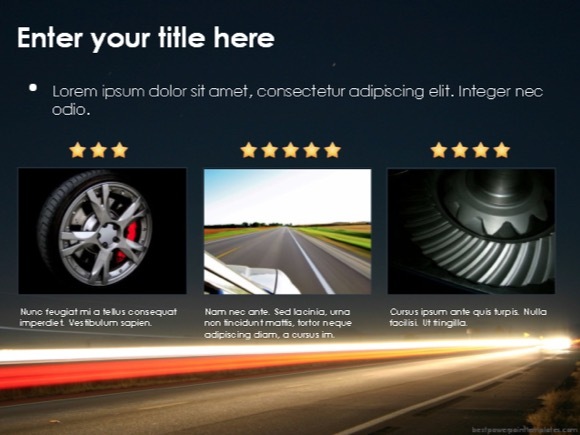 Road trip PowerPoint template - FREE! 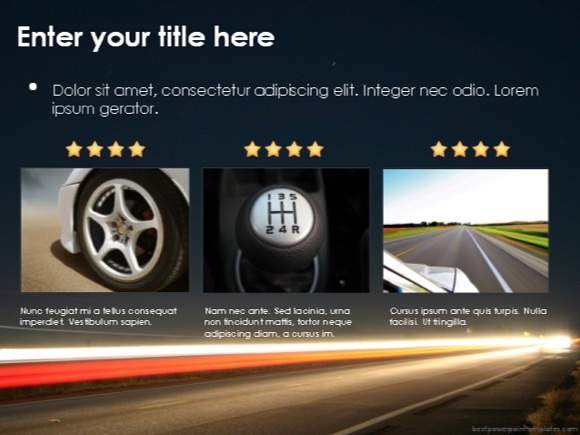 This Road Trip PowerPoint template can be used for PPT presentations related to adventure on the road. 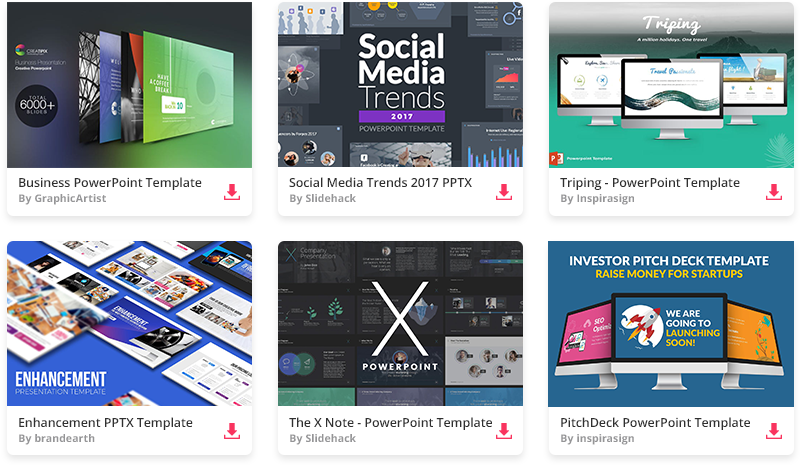 I recommend this design for presentations about escaping your busy schedule and hectic life. 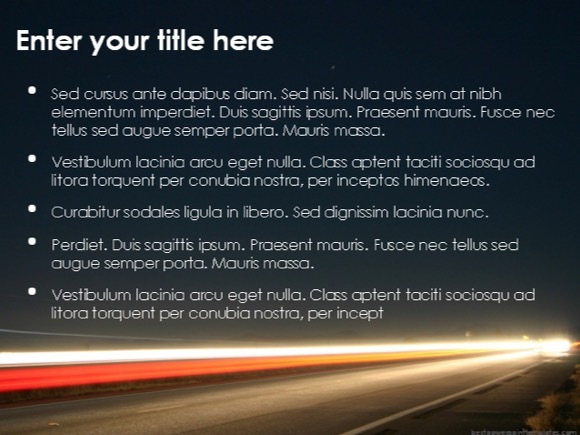 This PowerPoint can also be used to represent any kind of transport on a busy motorway. 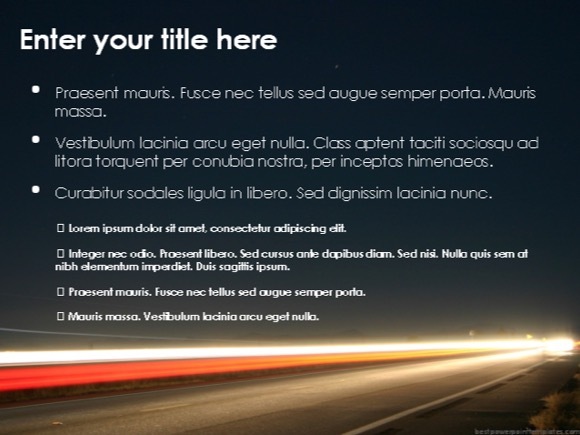 This PPT slideshow features fast background, which is useful for any subject related to travel. 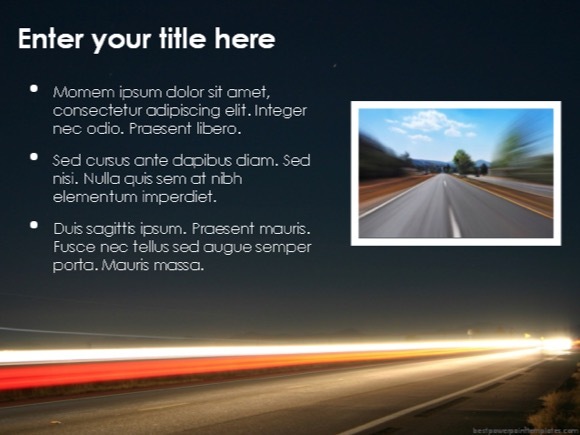 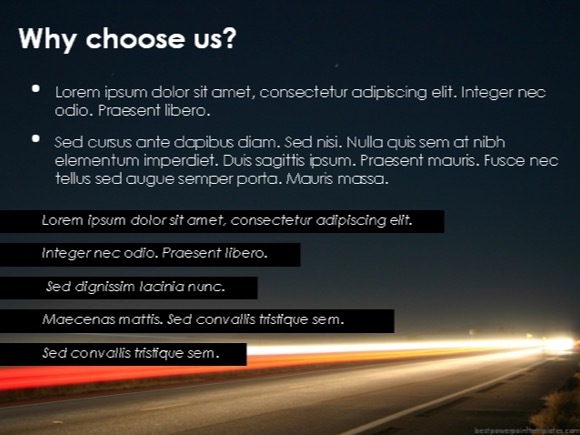 Road Trip PowerPoint template can be freely downloaded.